Author’s Note: Readers will remember that for the first two years of Doug Shanahan’s coaching reign at start-up St. Brendan’s we asked Doug to occasionally blog about the experience of developing a new high school program from scratch. The series was well received and when FLN had a chance to replicate the series at another school we were happy to find Mo Asif, the new coach of the new NCS program in St. Petersburg, willing to do so! Thanks to Coach Asif for taking this on and we hope the readers will find this a fun read and one that we all can learn from! 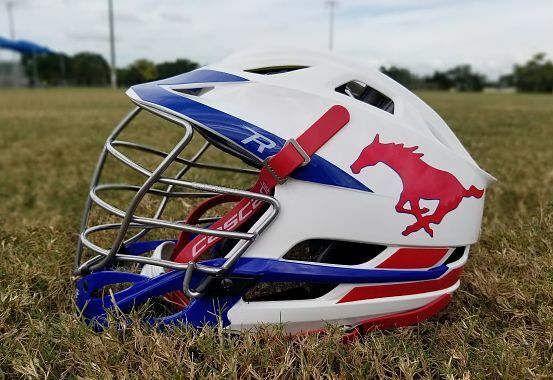 As we wrap up our inaugural season at Northside Christian School Lacrosse, I am going the season in my mind and can’t believe everything we accomplished this season! We took 20 amazing student- athletes, and converted them to be competitive lacrosse players at the high school level. Yes, we had some challenges across the journey just like any brand new program would be expected to have their first season. However, these boys took it all with stride and in the end really showed what hard work and dedication to the sport can translate to. We finished our last week as our best week of the entire season. We went to a triple overtime game against Carrolwood Day School followed by our very first shutout of the season with a win over Cypress Lake HS. Overall the team recorded a 5-10 record, and are very excited about continuing to get better for next season. I am so proud of the hard work these student athletes put in this year and the passion they have for the game. I believe the heart of our success this year was the commitment these athletes put in, but at the same time it was also the great support we had from the school, parents, students that were very encouraging and supported us the entire season. The turnout at the games was amazing and the volunteer hours that the parents put in was also much appreciated. On behalf of myself, and the other coaches I would like to say thank you to all the parents, families, friends, and Northside Christian School that supported us this season and encouraged us each and every day to do our best. Thank you! Also, many thanks to Floridalacrossenews.com for sharing our journey, and story with everyone. I hope in doing so we were able to help and guide others as they make their journey through starting a varsity lacrosse program. NextWells’ Sun Sentinel Story on Stoneman’s Win Over Pine Crest!